Happiness comes from internal transformation. How to use Buddhist teachings to change our own motivation and attitudes to benefit ourselves and others. A commentary on Chandrakirti's text explaining three kinds of compassion, and how compassion is the seed, the water and the ripened harvest of Dharma practice. Venerable Sangye Khadro talks about being authentic, which is to look at our errors, and do something about them. Nirvana is not a place but a state of mind attained by internal transformation. The fact that we have buddha nature allows us to go from samsara to nirvana. A quick guide to getting started with using ThubtenChodron.org. When disturbing emotions arise we have a choice. The Buddhist teachings offer practical methods to change counterproductive, habitual emotional responses. Ein 2016-Interview von Matthias Luckwaldt für Tibet und Buddhismus. A commentary on the eight verses and how they can change our perspective—how we see ourselves and others and deal with difficult situations. 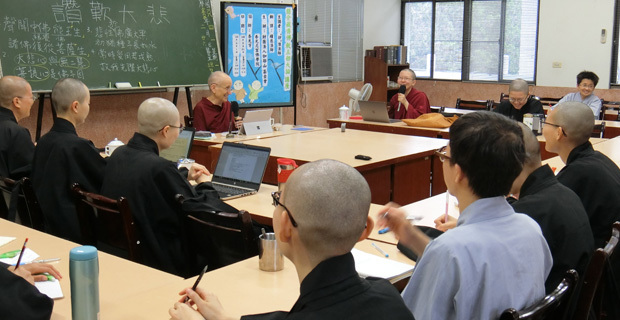 An overview of the educational program in Tibetan Buddhist monasteries with descriptions of the five preliminary topics and five main topics studied. Having compassion for ourselves by not following the disturbing emotions. 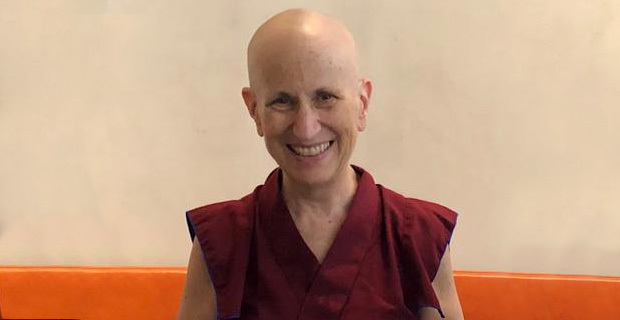 Venerable Thubten Nyima leads a review of the Chapter 3 section on “Emotions and Klesas,” focusing specifically on the subsection on attachment. The joy of living in the Dharma. The importance of bodhicitta and how it helps getting through difficulties and hardships. Venerable Sangye Khadro shares how painful it is to receive and give harsh words, and gives us tools to stop this bad habit. Venerable Sangye Khadro teaches on facsimiles of direct perceivers and inferential cognizers. Biara Sravasti adalah biara Buddha tempat para biarawati, biksu dan perumah tangga belajar dan mempraktikkan agama Buddha dalam komunitas spiritual.